Cold pressed or cold extraction: The temperature of the oil has not exceeded a certain temperature during the extraction process – for extra virgin, the limit is typically considered to be 27°C (80°F), although there is, in fact, no reliable international standard that everybody follows. In Europe, however, EU regulations only allow oils extracted in conditions where the temperature did not exceed 27°C to use the term cold extraction. Moreover, in Europe, the term cold extraction means that the extraction process has used centrifugal force, while the term cold pressed means that the pressing was entirely physical. Outside Europe, this distinction is not applicable. First cold: The oil has been extracted during the very first pressing of the olives (first) and temperature has not exceeded a certain limit during the process (cold). In effect, cold in this case does not mean no heat whatsoever, as it does in some parts of Italy. During the harvesting season, the temperature is so low that extracting oil would not be efficient without some heat – the point is not to exceed a certain temperature so as not to alter its flavour and healthy properties. Traceability code: While the label may indicate where the oil was bottled or packed, this does not necessarily mean that it was produced in the same country – the product may be a mixture of oils from more than one country. A traceability code enables the consumer to trace the origins of the oil from tree to table. Acidity: Often, high quality extra virgin olive oils indicate the acidity, although this is not required. The lower the acidity, the more likely it is to be proudly displayed. In order to ensure the quality of the olive oil and other agricultural products, the EU created PDO and PGI certifications to make sure that a product produced in a particular area can be recognised on the market. PDO, or ‘Protected Designation of Origin’, is written as ‘Denominazione di Origine Protetta’ (DOP) in Italian. Only olive oils with excellent quality and credibility can obtain a PDO certification. Olive oil that qualifies for the PDO logo must be grown, produced and bottled in the designated area. It also must meet strict requirements in terms of variety, method of production and overall quality. PGI, or ‘Protected Geographical Indication’, is written in Italian as ‘Indicazione Geografica Protetta’ (IGP). This certification usually belongs to a larger geographical area, and has slightly less stringent requirements than PDO. 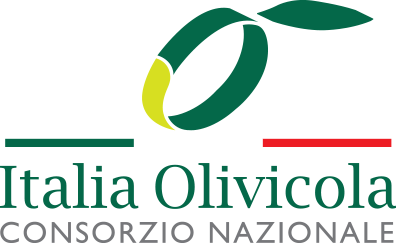 Olive oil with the PGI mark must have a feature that is relevant to a PGI certified area, although the link to the geographical area may be limited to a single production phase (for example, growing or processing the olives). Olive oil certified as organic must be cultivated without the use of synthetic chemicals or GMOs (genetically modified organisms). Only organic matter and minerals can be used for fertilisation.